Samsung Honda’s Jason O’Halloran "I’m ready for the fight"
Since his arrival on the British racing scene in 2009 with SMT Honda, Aussie Jason O’Halloran has shown on many occasions he has the talent and pace to take a British Championship crown to match his Australian Supersport title. Sadly a huge crash at Knockhill in 2011 put any title dreams on hold after the then HM Plant Honda rider suffered serious injuries that put paid to his season and almost his career. 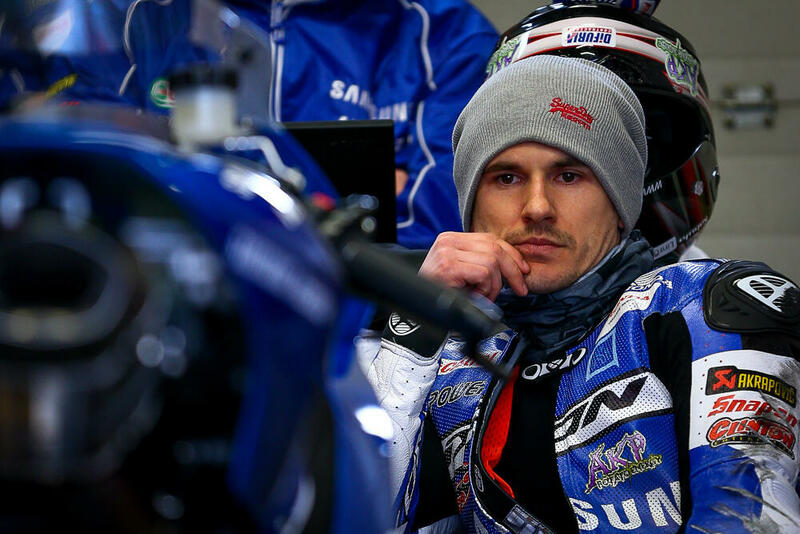 Last season O’Halloran took his place on the grid for Samsung Honda in the Metzeler National Superstock 1000 Championship at Brands Hatch, determined to repay Honda for their support during his most difficult times. As the season unfolded British fans got to see a hungry Jason O’Halloran fight for the title his ability clearly merited, alongside deputising in the Honda TT Legends World Endurance Team, securing a maiden podium in Qatar and debuting at the famous Suzuka 8hr race in Japan. This season will see O’Halloran race in the British Supersport Championship for Samsung Honda in one of the most hotly-contested, and open, series for many years; with Gearlink Kawasaki, Mar-Train Yamaha and Smiths Triumph all fielding arguably their strongest ever line-ups, the young Aussie has his work cut out but is more than ready for the challenge. I first started out in Junior Motorcross, my Mum and Dad got me a bike and I started learning to ride on my grandparents farm. My first race was at a local motorcross track called Mt Kembla. You had a very successful career in Australia before moving to the UK to ride for SMT Honda. What made you decide to race in the UK? BSB has a really good following in Australia, I could see guys that had won championships moving on to the world stage and that wasn’t happening from Aus at the time so I packed my bags and headed to the UK. 2011 was a difficult season for you, not least the Knockhill round where you had a crash that put you in hospital and kept you out for the remainder of the season. Did that period make you a stronger rider mentally or change you racing outlook in anyway? It was a difficult period for me. I’d just joined the HM Plant Honda team, it was my best chance to succeed and it was all over before I knew it. I only had two choices…one was to walk away from the sport that nearly claimed my life and that I’d put so much into and the other was to commit to it even further by starting from zero, change my approach a little, build my strength and endurance and come back stronger. That’s exactly what I did. 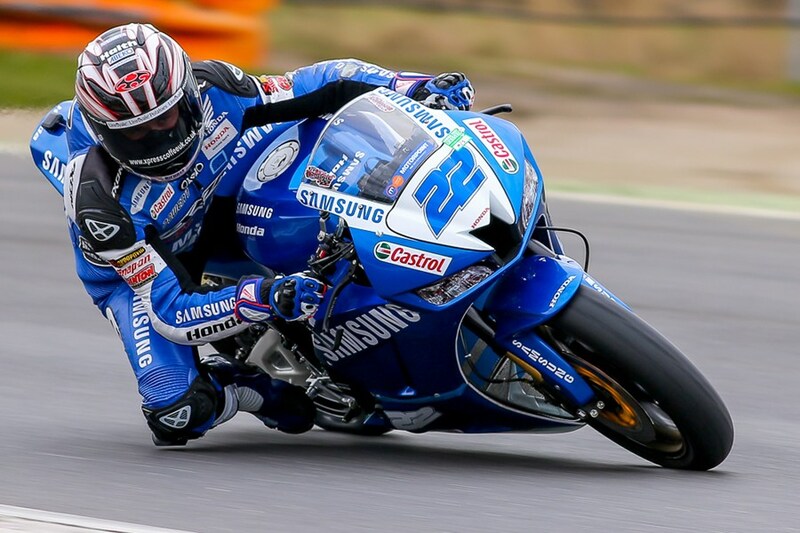 You really did come back strong in 2012, grabbing a podium finish first time out at Brands on the Superstock 1000 bike. That must have been a satisfying result for you and and a nice ‘thanks’ to Honda for their support in your healing process? That race at Brands was a little emotional for me as I’d put so much effort into regaining my fitness, having been through a lot of pain in rehab and to finish on the podium was a great way to start the year and to thank Honda for sticking by me. They were great right from the start, Neil Tuxworth and Harvey Beltran both spent a lot of time with me through that period and I’m very thankful for what they have done for me, along with everyone else who was there for me from my girlfriend Rach to all my family, friends and sponsors who were all there for me during my recovery. You finished a very creditable runner-up in the STK1000 championship last season. How was it from your point of view? It was a great season, it was frustrating at times but a lot of fun – I won races, I lost races, but I fought as hard as I could and did the best job I possibly could and 2nd was the end result. Each bike in the ‘stocks class has its advantages and disadvantages and that’s what makes the racing so close and aggressive. It was slightly unusual that you hopped on the Padgetts Superbike at the last round to replace Ian Lowry. Was that a bit of a surprise given you weren’t mathematically out of the running for the title? I was in bed on the Friday morning at Brands and my phone went, I thought it was my alarm so I left it, I rolled over and then thought I best check and I had a missed call from Neil. I called him back and he said “Jase, do you fancy racing a superbike this weekend?” I thought about it for almost a whole minute and said “yeah, why not!”. Given that my championship challenge had all but ended at Silverstone, Clive Padgett then got in contact and away we went, in at the deep end, everyone at their peak and me jumping on a bike I’d never even sat on. It was a great weekend, the Padgetts family and team are fantastic and I’d love to ride one of their bikes again in the future. You were also a stand-in rider for the Honda TT Legends World Endurance Team in 2012, how did you adapt to that intense style of racing? My first endurance race was out in Qatar where I teamed up with Michael Laverty and three-time British Champion Ryuichi Kiyonari, we gelled really well and rode hard to finished on the podium. Then the team needed a rider for Suzuka and asked if I would like to race with them again, this time with absolute TT legends John McGuinness and Cam Donald. Away we went it, and it was absolutely awesome, I loved it! John and Cam were both great team mates and just all round nice guys, I had a ball. Riding for a Honda team at the prestigious Suzuka 8-Hour race in Japan is a privilege that most riders will never experience. How was it for you? This has to be one of my favourite races, I absoloutely love it. I would love to make it an annual race on my calendar. How is the transition from 1000cc to 600cc going? It’s steady away at the minute , I have been on big bikes for a few years now and its just taking some time to adapt but in saying that I’m comfortable, I feel good its just changing a few small things to ride the bike better. 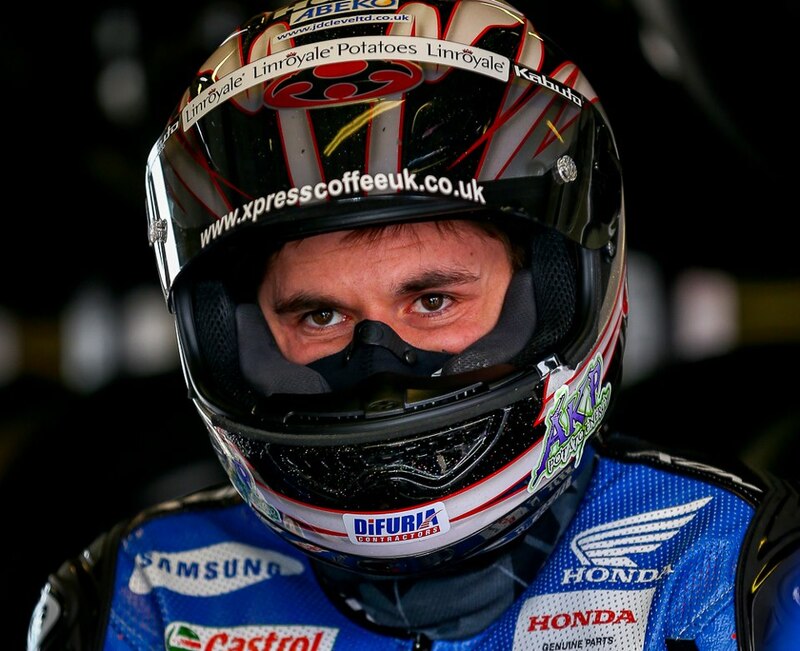 Posting the fastest times in the recent Donington test on board your 2013 Samsung Honda CBR600RR must give you great confidence for the season? Donington for us was just about getting some more miles under my belt, understanding the bike more and sorting a few things that we had to test but to come away with the quickest time was nice. The package I have this year is very strong and has a big amount of potential, Supersport will be tough this year with a lot of good guys in there but I’m one of those guys, and believe me, I’m ready for the fight. Do you have a long-term deal with Honda for next season or is this a pivotal season in securing a full time BSB ride for 2014? This is a pivotal season for me, I have a plan with Honda and some things in place already but I need results and I’ll be riding as hard as I can to bring those results home. How do you relax away from the track? I don’t really have any other hobbies but I enjoy cycling ( in the summer haha) and proper relaxing is when I’m sat on a beach back in Australia. Coming from Wollongong and moving to Lincolnshire draws close comparison to the steps Wayne Gardner took in his early career, was he a hero of yours when growing up? Wayne Gardner was very well known in my area, being a young kid wanting to be a motorcycle racer from Australia I looked up to Wayne Gardner and Mick Doohan. Who else inspired you to race? I grew up watching the Valentino Rossi Vs Max Biaggi era on TV, my family and I use to sit around the tv on a Sunday night (Aus time) and watch those GP’s until all hours in the morning, it was great. Where do your ambitions lay after 2013? I want to race in a world championship, no question. WSS, WSBK, Moto2 are ones I have my eye on but it’s obviously difficult times at the minute, so if an opportunity came up in any of those 3 championships that’s what I’d like to do. Thanks to Jason for taking time out between testing schedules and PaddockChatter wishes him all the very best for the 2013 season. saw Jason on the TT Legends programme..Good luck for the season!